Book the “Stay Connected” package at the Parc Soverign Hotel in Singapore and enjoy free WiFi and a 15% discount from room rates. With the discount, rates start from SGD134.50 (USD110) for a Deluxe Room, SGD160 (USD130) for an Executive Room, and SGD202 (USD165) for a Family Deluxe Room. A 10% service charge and 7% taxes are additional. Rates are valid through December 31, 2012. Rates vary by date and will be higher during peak periods like holidays and the Formula 1 Race. Rates are based on single or double occupancy. Children under the age of 12 stay free when accompanied by an adult. The “Stay Connected” promotion requires pre-payment by credit card and no cancellations are permitted. 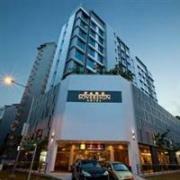 The Parc Sovereign is a 4-star hotel located in central Singapore. 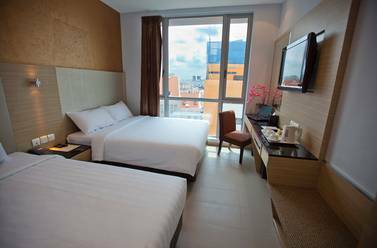 Its 170 guestrooms offer all the contemporary comforts like air-conditioning, LCD TV, and in-room internet access. 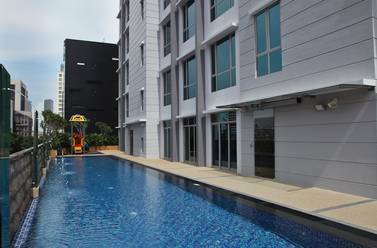 Hotel facilities include an outdoor swimming pool, fitness center, sauna, children’s playground, business center, and restaurant. Visit http://www.parcsovereign.com/ for more information or to make an online booking. The Parc Sovereign can be contacted by calling (65) 6336 7888 or emailing info@parcsovereign.com.